KRE Electric is an authorized distributor of the following products. 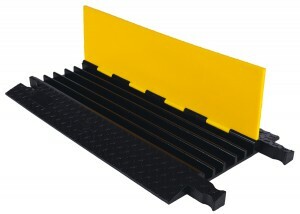 The Yellow Jacket cable mat features 5 cable channels and a heavy duty frame to house and protect your cables. These mats are designed to protect cables up to 1 inch in diameter, and the Dog Bone connectors allow you to link multiple mats together to make them as long as you’d like, depending on your site’s needs. For those who need to adhere to ADA standards, this version on the Yellow Jacket is for you. 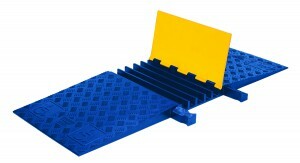 Featuring elongated ramps, these cable mats are an easy way to make your site safe and accessible to all. The ramps also feature a patented 5-Bar tread design to ensure maximum traction. 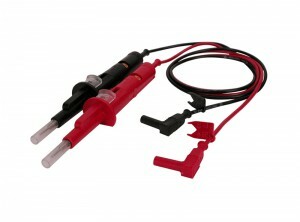 CSA certified, these Fused Test Probes were designed for safe, easy use even with gloves on. They feature sheathed banana plugs, internal fuses, as well as an internal blown fuse indicator light.